Leadership development today must include the development of creativity. The two go hand in hand. People who can access their creativity are better problem solvers. In my workshop, “Creativity and the Role of the Leader” I teach participates to access creative thinking easily. 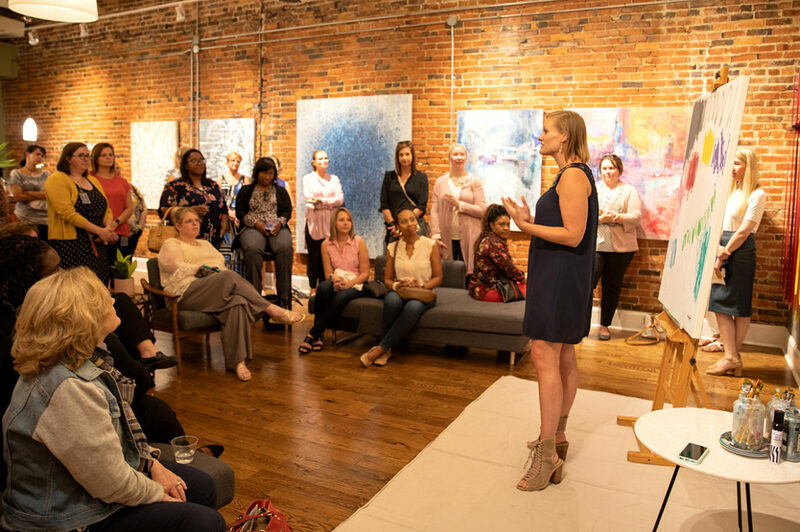 Most recently I worked with a group of women in leadership from Bridgestone inspiring them to become better leaders in their organization. 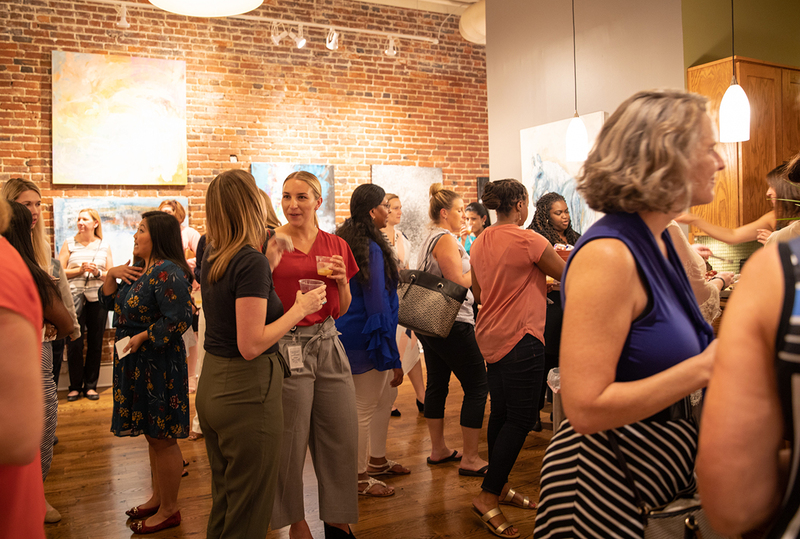 The Bridgestone Women’s Initiative Network, BWIN, hosted their event at The Studio 208, a premiere downtown art gallery and event space. 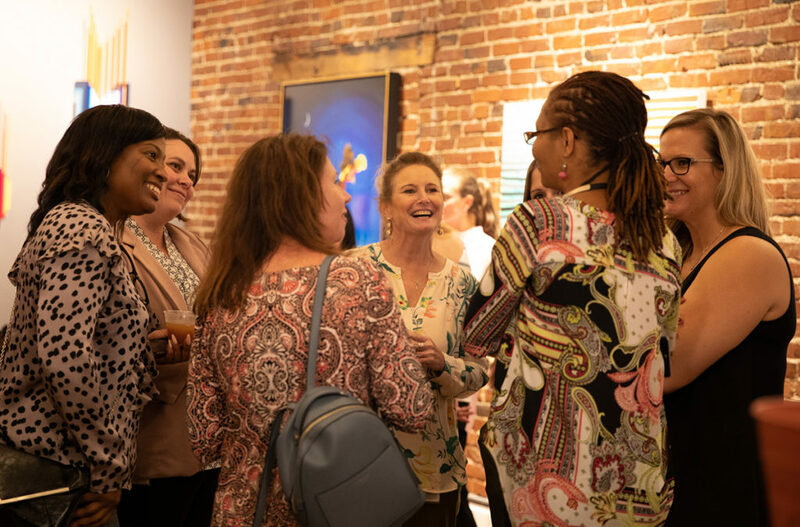 For the first hour gallery owner, Ashley Bergeron Segroves, hosted the all inclusive networking event where women enjoyed previewing art work from local artists. Next I gave a 30 minute speaking presentation about how to access the creative part of the brain and how that impacts our ability to lead. 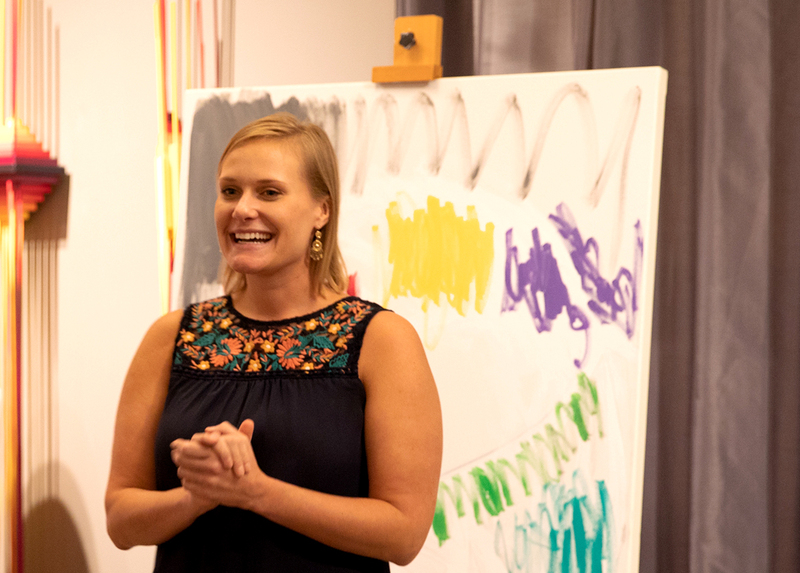 Following the talk I facilitated a 30 minute group activity to discover how the presentation resonated with the women on a personal and professional level. After the group activity, one-by-one leaders presented their group’s top takeaways from the talk. Then for the following hour we turned their reflections into a painting. 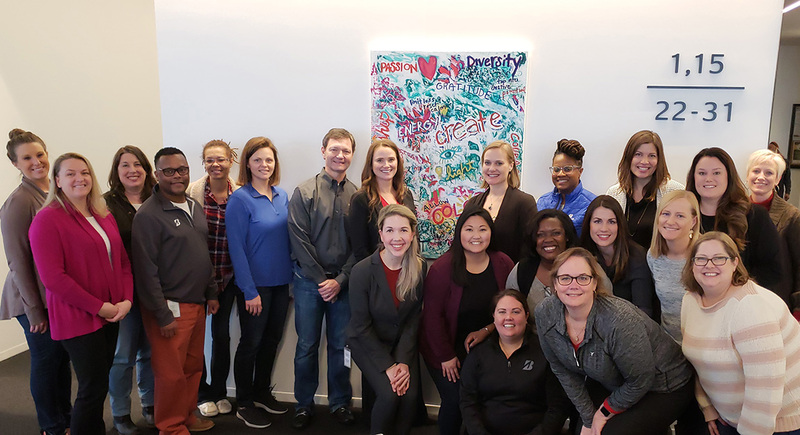 To complete the process, we joined together again to celebrate the finished painting at Bridgestone Tower in Downtown Nashville by hanging it in a common area for all to see. Now the art work will serve as a daily reminder of how creative thinking is accessible to all. Thank you Bridgestone for an incredible partnership! 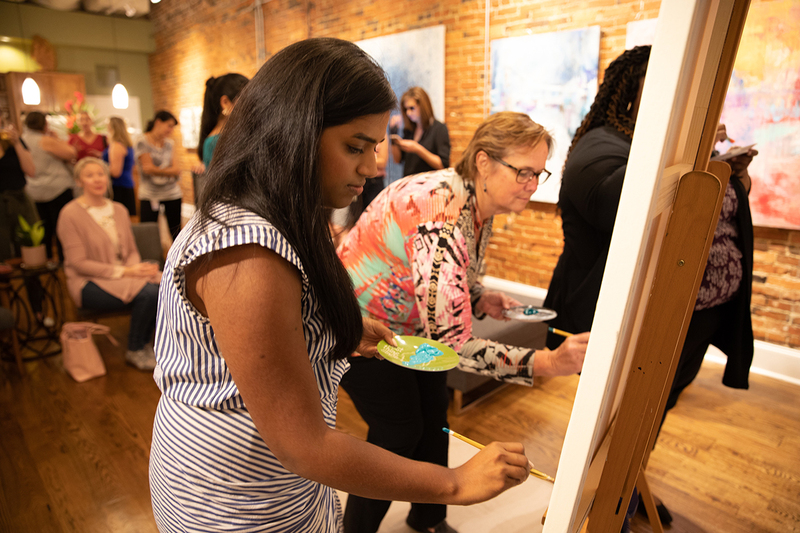 Host this workshop for your group! Contact us today to book Beth to speak.